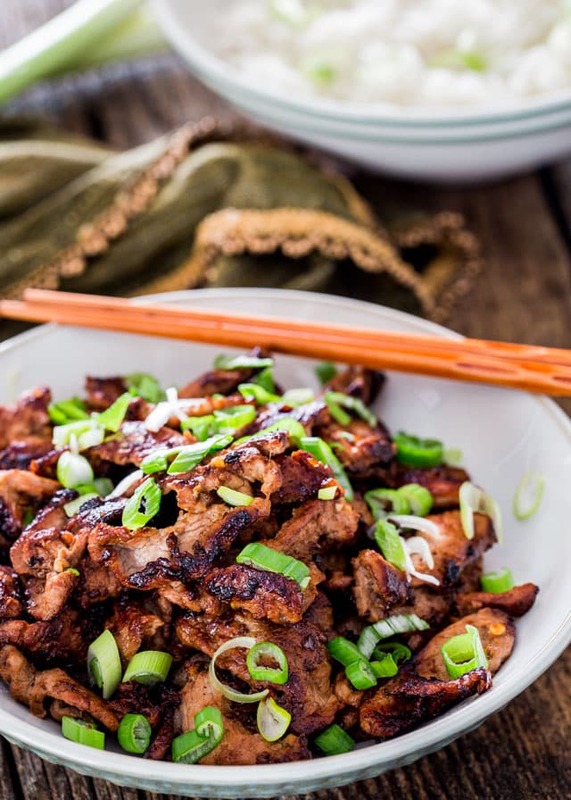 Korean Bulgogi Pork – a Korean inspired recipe of marinated pork tenderloin. Easy, quick and delicious. No wonder it’s one of Korea’s most beloved meat dishes. You know, I have to admit that I have only recently been introduced to Korean food, and by recently I mean in the past 5 years, and I have to say I really love it. There are a few popular Korean dishes that I know of, one of them being this Bulgogi, which literally means fire meat in Korean. It usually refers to marinated meat and then grilled, most times on skewers since the meat is sliced really thin. You can also use any kind of meat you choose, such as pork tenderloin as I have here, beef or even chicken such as chicken thighs. The meat is first marinated in a simple Asian marinade made from ginger, garlic, soy sauce, brown sugar, oil and a meat tenderizer, in this case pear. You need to marinate the meat for at least 30 minutes or up to 8 hours, this will ensure maximum flavor in your meat. Now I would have gone ahead and grilled this, but seeing that it’s -17C (0F) outside, I decided against that and went with cooking it inside. It’s probably a lot quicker to cook it inside too. Just add a bit of vegetable oil to your skillet and you’ll want to do this in batches, because you don’t want the meat pieces sticking together. Add half the meat to the skillet and just spread it around in the skillet so that each piece is nicely separated from the others. Now the trick is to not touch it for a couple minutes because you want the meat to start browning, almost to the point that it looks charred. Then you can flip it over and cook on the other side for another 3 minutes or so and you’re good to go. Let me just say that this is some delicious and tender meat, literally melts in your mouth. Amazing flavors and plenty of heat from all the chili flakes. Serve this over rice or even noodles and garnish with some green onions and have at it. Who needs restaurants when it’s so easy to make this at home, and if you want to impress your significant other this will do the trick. 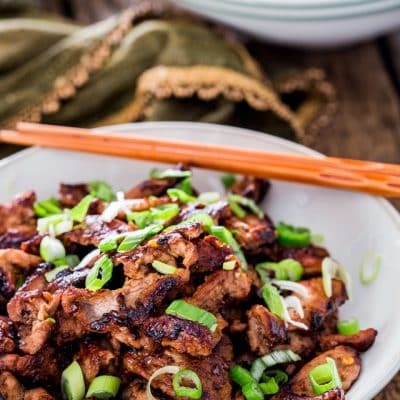 Korean Bulgogi Pork - a Korean inspired recipe of marinated pork tenderloin. Easy, quick and delicious. No wonder it's one of Korea's most beloved meat dishes. Prepare the pork tenderloin by cutting it into very thin slices. Place the meat in a ziploc bag. Set aside. In a bowl add the garlic, ginger, soy sauce, chili flakes, pear, sesame oil and brown sugar. Whisk everything together well. Pour the marinade over the pork, close the ziploc bag and shake it around a bit to make sure that the all the pork meat is covered in the marinade. Let it marinate at room temperature for 30 minutes or refrigerate for up to 8 hours. Add 1 tbsp of the vegetable oil to a large skillet and heat it over medium high heat. Add half of the meat to the skillet and arrange it so that it's in a single layer. Cook it for about 3 minutes without touching the meat, or until the meat starts to brown, almost char, then turn it and cook for another 3 minutes until it's browned on both sides. Remove from skillet to a bowl and set aside. Add the remaining tbsp of vegetable oil and remaining meat along with remaining marinade. Repeat cooking the same as above. Serve over cooked rice or noodles and garnish with chopped green onions. Place the tenderloin in the freezer for 10 minutes if you're having trouble getting thin slices. You can cut down on the amount of red pepper flakes if you don't want it to be too spicy. You can also use boneless skinless chicken thighs or even beef such as a flank steak. It was so easy and super awesome-tasting. I think I will dial back the red pepper flakes next time – even though I love spice, it was a little much! I also added white onion to the cook on the pork and it was great too. So glad you enjoyed this, Laura! This was excellent! I added 1/2 a sweet onion and a carrot and sautéed it all together. I also use apple sauce when I don’t have pear and it eliminates 1 step. 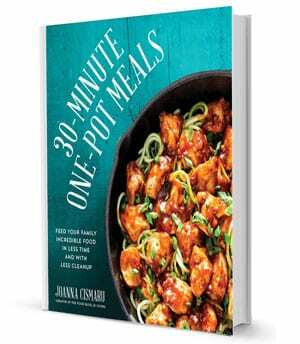 My son and I enjoyed our bonding time with cooking lessons and this recipe! Only thing we changed was adding extra chili flakes before we turned the meat while cooking in the pan! That’s so great, love hearing this! Okay, this is going on regular rotation at my house! Made it for dinner tonight and it was excellent. I did have to leave the pepper flakes out so my kids could eat it, but we didn’t miss it at all. I think there is a big mistake in this recipe. It calls for 1 Tb of red pepper flakes. It seemed like a lot to me but I followed the recipe. It was so hot we could hardly eat it! Is it supposed to be 1 tsp maybe?? The recipe is accurate! Korean Bulgogi Pork is supposed to be a very spicy dish, and traditionally calls for even more spice than what we’ve used. You can absolutely cut down to 1 tsp of rd pepper next time, feel free to adjust to your own taste. This is currently marinading in my fridge. This is one of those go- to dishes for us. Soooo gooood! Thank you! I have made this a couple of times now and love it. If I don’t double the recipe my son would eat it all without me! I made this last night. My husband and I loved it! We didn’t have pear but I did some research and found that kiwi and pineapple have the same meat tenderizing enzyme that pear has. I used a tablespoon of pineapple and it worked perfectly! We will definitely save this recipe! Mushed papaya is even more effective. Meat tenderizer is mostly Papain, which is derived from papayas. Old Asian trick…. Awesome! So glad you liked the dish. Thanks for commenting with the kiwi and pineapple suggestion for tenderizing the meat. Its a great option for anyone else that doesn’t have pear. 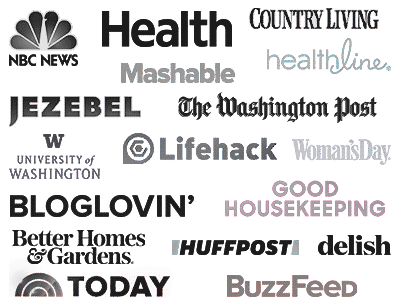 Thanks for liking Jo Cooks and being a part of our community. We appreciate it so much! loved it !!! I was stationed in Korea for a year in the military and fell in love with the food. This recipe was a wonderful reminder. I made it with cilantro sticky rice and the spicy Korean pepper paste rolled up in a roman lettuce leaf. Brought back old times !!! Made this tonight and was blown away. Was NOT expecting the huge flavor punch. I added a little squirt of Sriracha to the marinade as well. Next time i make it I will make it outside on my grill because i really smoked up the house trying to get the nice dark char on the one side. Woops. But worth it! The grill would be just fine! I’m so glad you liked the flavors! Is the pear essential? Have everything but that. Would grated Apple work? Thanks. Sure apple should work as well. The purpose of the pear is to tenderize the meat. You may use 1-2 tbsp of corn flour (corn starch) as tenderizer. 1/2 Pear grated, I can do that, 1/2 pear shredder, now what is that, shredded which is a little akin to grated? There are two half pears called for, is it a whole pear in this and if so is it the oriental kind of pear or your goood old conference pear. Thanks for catching that and I fixed the ingredient list, there’s only 1/2 pear, grated that’s needed in the marinade. I used a Bosc pear but any pear should do just fine. I LOVE TRYING NEW RECIPES AND THIS KOREAN DISH IS NOW AMONG MY FAVORITES WE SERVED IT WITH SOBA NOODLES WITH TOASTED SESAME OIL , GREEN ONIONS AND CILANTRO. SWEET POTATOES ON THE SIDE WITH BAKED GARLIC FLAVORED BRUSSEL SPROUTS I TWEAKED IT A BIT AS FAR AS SPICES GO, TURMERIC, 21 SPICE SALUTE AND SMOKED PAPRIKA FROM TRADER JOE’S ($1.99 EACH) I ALSO MADE THE GINGER /COCONUT THAI CHICKEN WOW, SUPER GOOD I MADE IT TWICE IN THE SAME WEEK ! LOL Thank for catching that, it’s been added! This was a hit with my whole family. Loved the amount of heat and the flavor. If you prep the meat the day before, you can have dinner on the table in 30 minutes. We will definately be adding this to our regular lineup. Glad you liked this Tracey! 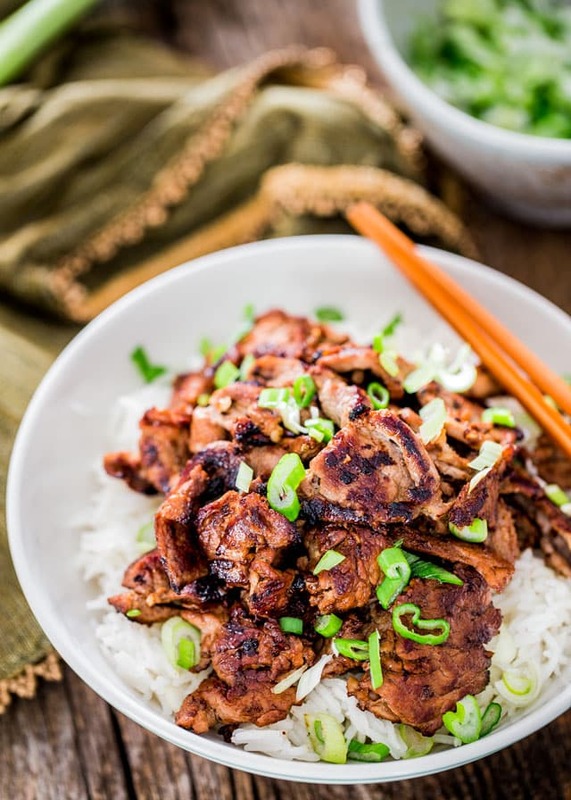 In the Korean Bulgogi Pork recipe, #4 direction is “Add the remaining tbsp of vegetable oil and remaining meat along with remaining marinade. 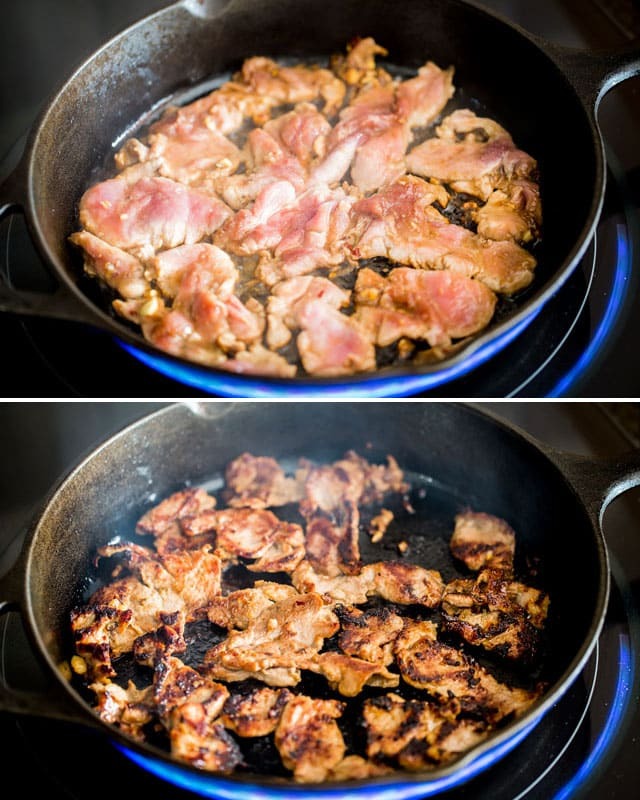 Repeat cooking the same as above.” In #3 when we were frying the pork, we didn’t add any marinade. I’m just wondering which is correct. There won’t be a lot of marinade left in the ziploc bag as the pork will absorb most of it. So basically when you take out half the pork, don’t worry about the marinade just take whatever comes with the pork, and in step 4 if there really is any left in the bag you can throw it in the skillet, but I probably only had about 1 tbsp or so, not much. Korean Bulgogi Pork, I was wondering if this isn’t dry when served over rice or noodles. Shouldn’t it have some sauce to flavor the rice or noodles? What else do you serve with this dish? I just served it on its own over rice, with a bit of low sodium soy sauce over the rice, or you could even add some sriracha sauce. You could also serve it along some steamed veggies, like broccoli and carrots.